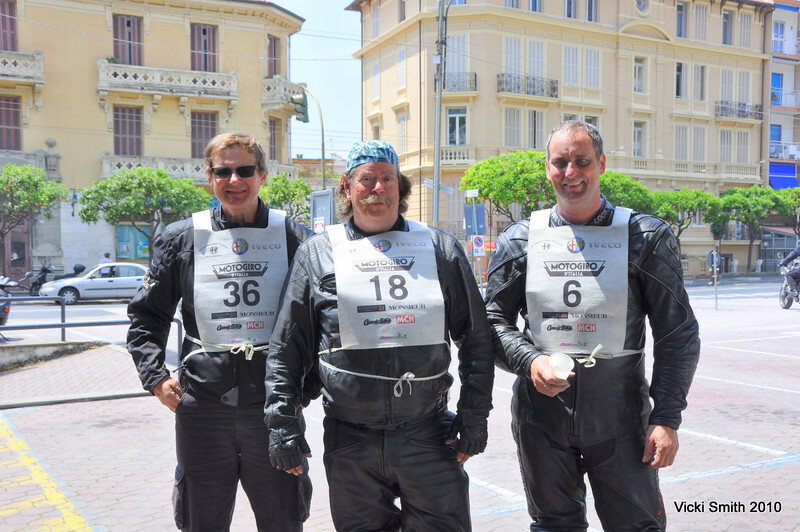 This year, the 10th Anniversary of the Motogiro, started in Cannes, France and traveled to Torino Italy and back. The emphasis is always on the great riding but in 2010 the ante was upped, 4 star hotels and a tie in with an Italian gastronomic university combined with 5 days of perfect weather. It made for a really nice "Golden Anniversary". Once in route there is usually a minute or two to grab a bite and chat for a moment at the stops as long as you stay on route along the way. Get lost and all bets are off.